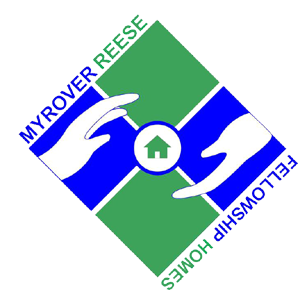 Myrover-Reese Fellowship Homes, Inc. is a non-profit 501c(3) corporation licensed to do business in North Carolina. We provide supervised living for men and women who suffer from the disease of chemical dependency. The Pat Reese Home, The Ashton Lilly Home, for men and The Quality Road Fellowship Home for women are our three structured living facilities. Chemical dependency is a disease. The good news is that chemical dependency is treatable. It is beyond the power of the individual but, like diabetes, hypertension and high blood pressure, chemical dependency can be successfully managed, but not cured. Recovery from alcohol and other drugs refers to the process of abstinence and change. The first stage involves making the decision to quit using and making the commitment to a program of change. The second stage is actually quitting alcohol or other drug use, learning to adjust to living substance free and dealing with the various issues faced in early recovery. These are such things as building a support system, identifying triggers to use, and strategies to manage these triggers. Myrover-Reese Fellowship Homes, Inc., has several programs designed to maximize an individual’s chance of success in a new life in recovery. Our County Programs, (30 Day, 180 Day) are funded through our MCO, Alliance Behavioral Health. 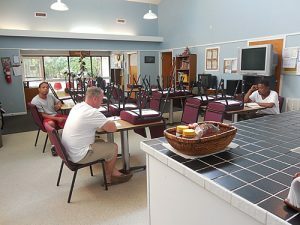 Our County residents receive outpatient treatment and aftercare, linkage to mental health and primary care providers, housing agencies, and are encouraged to participate in 12-Step or other self-help programs in order to build a strong network of recovery. We receive referrals from a myriad of sources: local detoxification centers, outpatient treatment providers, Sobriety and Drug Court referrals, walk-in (self) referrals, Self-Help groups, homeless shelters, and alumni of the homes. We have been “Helping Others Help Themselves” for fifty-five years, and are proud of the growth we have made and the level of care our residents receive while here.